Note: The Bible records the conversion of Saul to Christianity three times (Acts 9, Acts 22, Acts 26). Please take time to read these with this article. Saul of Tarsus later became better known as Paul the apostle (Acts 13:9). The names are used interchangeably here. The apostle Paul’s eyes have been the subject of much speculation. Many believe his “thorn in the flesh” was poor eyesight (2 Corinthians 12:7–9). This is based on the willingness of the Galatians to pluck out their eyes for him (Galatians 4:15). On the road to Damascus, a great light shined upon Saul and in the light he saw Jesus. After this vision “he was three days without sight” (Acts 9:9). Christ then sent Ananias to heal him and teach him the gospel (9:17–18). 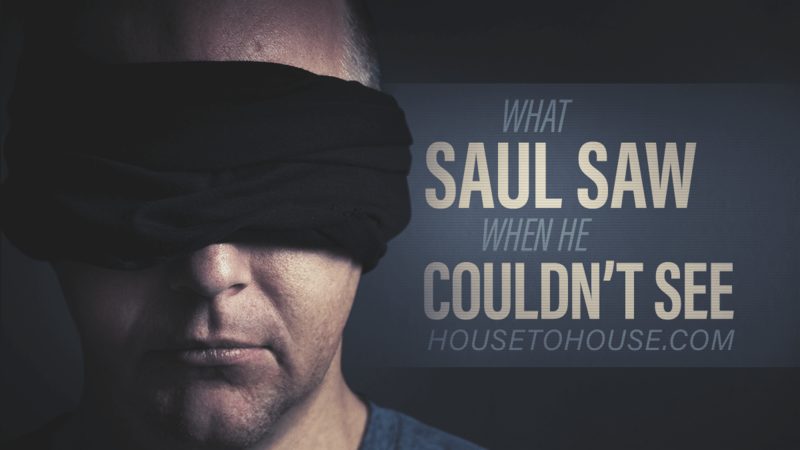 During these three dark days, Saul “saw” a lot he had never seen with his eyes open. The eyes of his understanding were opened (Ephesians 1:18). What did Saul see when he couldn’t see? Saul saw that Jesus is the Son of God. Prior to this trip, Saul flatly rejected Jesus’ claim to deity, being firmly convinced He was another imposter in a long line of usurpers. Saul left Jerusalem an intellectual skeptic, a hater of Jesus, and an enemy of every Christian (Acts 26:10–11). Saul made an amazing transformation practically overnight. He left home a Jewish Pharisee and returned a Christian missionary. He flipped from the church’s fiercest opponent to its greatest proponent. He switched from arguing against Jesus as the Christ to defending His deity in the same synagogues (Acts 9:20). How can Saul’s remarkable change be explained? When a prominent Pharisee suddenly turns his back on his religion, family, education, career, peers, and nation, there must be a reason. “Saul was a liar who made up the vision entirely.” What motive would Saul have? People lie for money, but this made Paul poor (1 Corinthians 4:11). People lie for popularity, but this made Paul unpopular (4:12–13). People lie for prestige, but this made others think Paul was a “fool” (4:9, 13). People lie to avoid pain, suffering, and death, but this caused Paul all three (1 Corinthians 4:9; 2 Corinthians 11:24–25; 2 Timothy 4:6–8). “Saul was deceived by the apostles who had invented the legend of Jesus’ resurrection.” Legends take time to develop, but Jesus’ resurrection was taught immediately—within fifty days (Pentecost) (Acts 2:24, 32). Paul’s writings show an independent thinker and an educated scholar unlikely to gullibly follow untrained fishermen and tax collectors (Acts 4:13). Paul said he received his doctrine directly from Jesus (Galatians 1:11–16) and did not even meet the apostles for three years (1:17–18). “Saul went insane with guilt for killing Stephen.” Worldly Festus, who saw religion as superstition (Acts 25:19), first made this accusation. He interrupted the apostle, asserting that much learning had made Paul “mad.” Paul calmly pointed to his speech as evidence of his sanity: “I am not mad, most noble Festus; but speak forth the words of truth and soberness” (Acts 26:25). Paul’s writings are not those of a madman, but reflect a structured, logical, disciplined mind. The quarter century he spent as a missionary shows a focused purpose that defies insanity. His social relationships (he mentions about a hundred coworkers) show one respected by peers and capable of functioning successfully in a complex world. Christianity’s explanation is more plausible. Saul changed because he saw the resurrected Jesus. When Jesus identified Himself (Acts 9:5), Saul, “trembling and astonished said, Lord, what wilt thou have me to do?” (9:6). The blasphemer had become a worshipper. After the empty tomb and the New Testament itself, Saul’s conversion may be the greatest proof of Christ’s deity. Saul saw that he should help people instead of hurt them. Judaism in Saul’s time was violent. Christians were arrested (Acts 4:3; 5:18). Murderous plots were contemplated (5:33). Stephen was brought up on false charges and stoned by an angry mob (Acts 7:58–60). There was a great persecution against the church at Jerusalem (Acts 8:1). Christians were chased from city to city (Acts 9:1–2). Saul joined in wholeheartedly. He gave his consent to the murder of Stephen and others (Acts 7:58; 26:10). He breathed out “threatenings and slaughter” against the disciples and “made havoc of the church” (Acts 9:1; 8:3). He dragged Christians—men and women—to prison. He punished them often in synagogues and “compelled them to blaspheme.” He was “exceedingly mad” and persecuted near and far (Acts 26:11). During his three days in darkness, Saul came to see that his violent religion was wrong. He should love people, not hate them (John 13:34–35). He should help them, not hurt them (Galatians 6:10). He should free them, not incarcerate them (Luke 4:18). Once Saul became a Christian, he never lifted a finger against those of any other religion. He taught and persuaded but never coerced or persecuted. He was willing to spend and be spent for others, even if he was not loved in return (2 Corinthians 12:15). Christianity is a peaceful religion. It is based on the “gospel of peace” (Romans 10:15). Jesus, the Prince of Peace (Isaiah 9:6), never raised a violent fist against another, even when assaulted (1 Peter 2:23). He never owned a sword; He never smote an enemy; He never sued a foe. His true followers today imitate His peaceful behavior (1 Peter 2:21–22). While Christians “earnestly contend for the faith” (Jude 1:3), they do so with words, not weapons. Evangelism is done by teaching and reason (Matthew 28:19), never by threat or violence. Christians seek to follow peace with all (Hebrews 12:14; Romans 12:18). Any religion that teaches followers to hate “unbelievers” and to force conversion by threat of physical harm does not deserve a seat at the table in the marketplace of ideas. A few have marched under a false flag and committed violence in Christ’s name. The Spanish Inquisition and the Crusades come to mind. Yet these never did so at His behest, and they will face His gavel at the last tribunal (Matthew 25:31–33). Saul saw there is life after death. Before Damascus, Saul held to the Pharisees’ party line that the disciples had stolen Jesus’ body (Matthew 28:13). After Damascus, he taught, “Why should it be thought a thing incredible with you, that God should raise the dead?” (Acts 26:8). The empty tomb transformed Jesus from a martyr to a Savior. Without it, Christianity is a fraud and Christians are, at best, deluded—of all men most miserable (1 Corinthians 15:12–19). With it, Christians are also guaranteed a resurrection (15:22). Paul emphatically stated that “Christ is risen from the dead” (1 Corinthians 15:20). He believed the tomb was empty because he knew its former occupant. He saw Him; he heard Him; he conversed with Him. Every other religion lacks what Christianity has—a living Savior, an eternal High Priest ministering for His people in heaven. Saul saw that one religion is not as good as another. Saul’s religion was popular—thousands of people throughout the world adhered to it. It was monotheistic and based upon objective revelation. It was more than a thousand years old. He was comfortable with it; he was trained in it; his family were members of it; his career and livelihood were tied to it. If anyone ever had good reason to stay in a religion, it was Saul. Yet it lacked one thing—it no longer pleased God. The whole point of religion is to pay homage to the Creator (Ecclesiastes 12:13), to be saved from sin, and to go to heaven at death (Romans 3:23; 6:23). Saul’s sins could not be forgiven under Judaism. Moses’ Law had been nailed to the cross (Colossians 2:14) and replaced by the gospel (Hebrews 8:6–7). The Law no longer justified (Romans 3:20) but brought a curse upon those who failed to keep even one statute (Galatians 3:10; James 2:10). Salvation now comes only through Christ (John 14:6; Acts 4:12), so Saul needed to change to Christianity to go to heaven. Thankfully, we enjoy both freedom of religion and speech. Yet equal access to every religion does not mean that every religion is equally valid. We must be discerning (Hebrews 5:14). Only Christianity has Christ as High Priest and Mediator (Hebrews 4:14–16; 9:24–28; 1 Timothy 2:5). Christ’s blood—the only antidote for sin—is found only in His body, the church (Ephesians 1:3, 7, 22–23). One religion today is not as good as another. A Christless religion is not as good as Christ’s religion (Colossians 1:18). 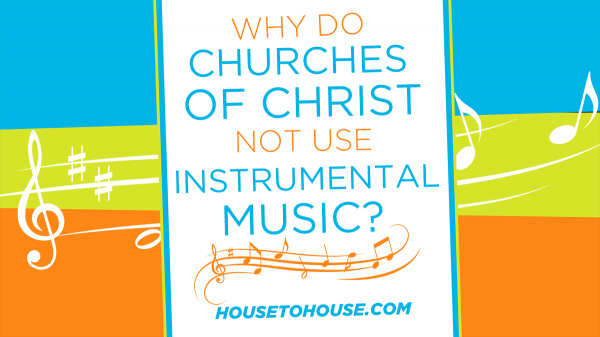 A cult is not as good as the church (Colossians 2:8). A church teaching false doctrine is not as good as one teaching truth (John 8:31–32). A church that hurts people is not as good as one that helps people (Galatians 6:10). A dead church is not as good as a live church (Revelation 3:1). 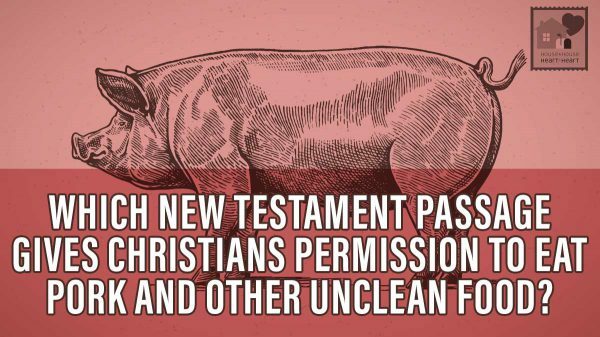 We should not be satisfied with less than the religion Jesus established, which is the church of the New Testament. Saul saw that conversion is not an immediate miraculous experience. On the Damascus road, Saul had an unrivaled religious experience. He saw the risen Savior! His conversion process began there, but like Jesus’ resurrection, it was not completed until the third day. Why would Jesus wait three days to send Ananias to Saul? Christianity is a taught religion (Matthew 28:19; John 6:44–45), and a person is not taught until he understands facts and assimilates meaning. To believe, Saul needed time to process what he had seen and heard. To repent, he needed to think of the persecutions he had perpetrated and be deeply saddened over them (2 Corinthians 7:10). 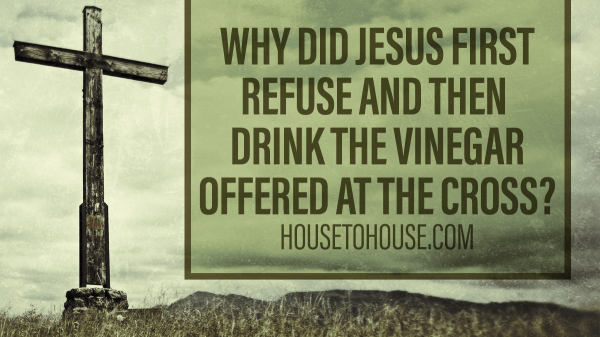 To convert, he needed to count the cost of a decision (Luke 14:28–32). God does not favor rash decisions (Proverbs 4:26; Psalm 119:59). Trembling and astonished on that roadside, he was in no condition to make such a life-altering decision. Christ usually dawns upon sinners as a sunrise rather than coming upon them as a thunderstorm. In reading Scripture, hearts open gradually to His love, as a rosebud opens to the warmth of the sun. Lydia’s conversion (Acts 16:14–15), different from Saul’s (since his involved preparing him to be an apostle, cf. Acts 1:22; 1 Corinthians 9:1; 15:8), is a typical conversion. She saw no blazing glory; she heard no heavenly voice, but the Lord opened her heart through the power of the gospel as Paul preached (Romans 1:16). 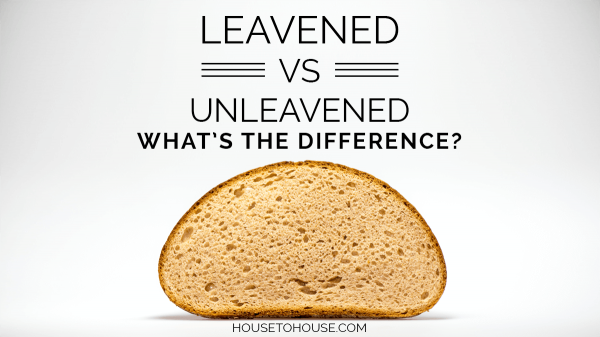 Saul saw that faith, penitence, plus baptism removes sins. Seeing is believing, and Saul saw Jesus alive. Yet the Bible does not indicate that Saul was saved on the road to Damascus. If so, for seventy-two hours, he was the most miserable “saved” man there ever was (Acts 9:9, 11). He did not rejoice, as other saved sinners did (Acts 8:39; 16:34). He had no peace with God (Romans 5:1; Colossians 3:15). He was penitent. He fasted. He agonized as he … remembered the innocent people he had hurt … thought of the sorrow and pain he had caused families by driving them from home … remembered the spouses he had separated and the parents he had taken from their children … thought of the faithful Christians he had compelled to blaspheme their Savior. He allowed not a morsel nor a drop to pass his lips. Normally going without sustenance for so long would be exhausting; but Saul did not sleep. He prayed . . . and prayed . . . and prayed. Are these the actions of a saved man? Jesus had told Saul that there was something he “must do” (Acts 9:6), so he waited to learn what that was. 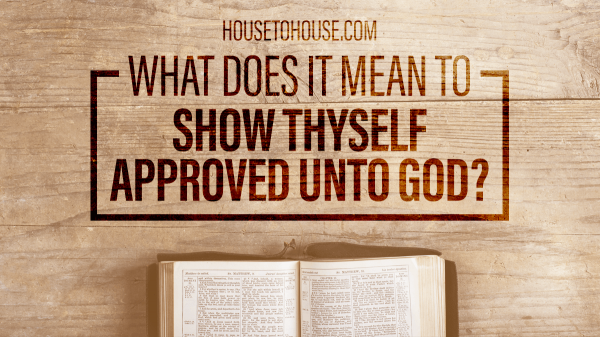 Upon arrival at the house on Straight Street, the preacher Jesus sent did not congratulate Saul on his new-found salvation or announce to him that he had successfully prayed through. Instead, Ananias asked Saul what he was waiting for: “Arise, and be baptized, and wash away thy sins, calling on the name of the Lord” (Acts 22:16). One could say, then, that Saul’s sins were removed not on the road, but in the pool (cf. Mark 16:16; Acts 2:38; 1 Peter 3:21). After his baptism, he ate. He fellowshipped. He taught (Acts 9:19–20). His agony was over; his sins were forgiven; he was at peace; he was now a Christian. For a man who couldn’t see, Saul saw a lot.